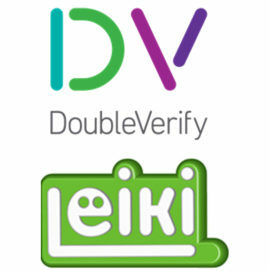 DoubleVerify, the leading independent provider of marketing measurement software and analytics, announced on Sunday (14 January) that it has acquired Leiki, Ltd., a leading contextual intelligence and content classification platform headquartered in Helsinki, Finland, and with operations across Europe. The transaction was completed as an all-cash, all-stock offer on 27 December, 2018. The acquisition also brings a tenured team with specialised ontological expertise and deep relationships with brands and premium publishers internationally. Moreover, Leiki experts classify content in-language worldwide – helping DV address the brand reputation needs of its global customer base. GroupM UK, the world’s leading media investment group, has achieved two JICWEBS Seals of Compliance, as verified by independent auditor ABC, demonstrating that the company has met industry-agreed standards to actively reduce the risk of both advertising misplacement (linked to the issue of brand safety) and exposure to advertising fraud. The JICWEBS Principles are industry-approved guidelines against which media buyers, publishers, or intermediaries can be verified. 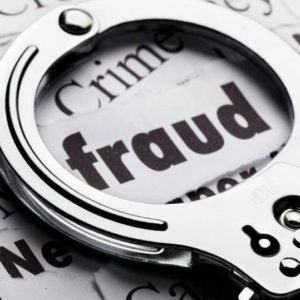 The aim of the Principles, and ABC’s verification programme, is to promote confidence in the industry by demonstrating that companies like GroupM UK are providing targeted protection against some of the key issues affecting the online advertising industry. JICs (Joint Industry Currencies) ABC and JICWEBS are supplying the online media industry with a trusted and robust currency on which media space can be bought and sold. For more information on ABC’s Verification Services click here. Tappx has partnered with Pixalate in order to offer advanced invalid traffic (IVT) detection technology for its over-the-top (OTT) services. The global Tappx solutions, which will be enhanced by Pixalate technology, includes ‘Ad-Replacement’ services for digital TV; ‘Dynamic Ad Insertions’ (DAI), digital TV ad time-slot detection and insertion of programmatic video ads; and ‘Addressable TV’ ads, which deliver targeted and personalised ads based on TV user interests. Traditionally speaking, OTT was a ‘secure environment’, typically set within the parameters of ‘digital commercial sales’ and championed by larger broadcasters and publishers. However, OTT has evolved over the years. There are a growing number of viral content platforms appearing each day across an ever-expanding app ecosystem. 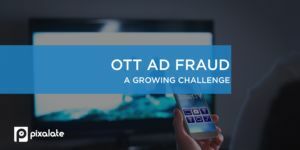 OTT advertising spend continues to grow at a rapid pace – Magna projects a 40% jump in 2018 – but the fragmented ecosystem has opened the door for fraudulent activity. Global strategy firm Vivaldi announced Wednesday (16 January) the acquisition of London-based award-winning digital creative agency Gravity Thinking – whose clients include Hyundai, Pizza Hut, and William Grant & Sons – as part of its drive to deliver tangible impact and proven growth strategies to clients. The deal adds Gravity’s innovative social and digital marketing capabilities to Vivaldi’s existing business, brand strategy, and data analytics offering, allowing the combined group to deliver strategies based on demonstrable impact, supported by first-rate customer journey analytics and brand funnel optimisation. The two companies are already working together on clients in the enterprise software, tourism, and retail sectors. 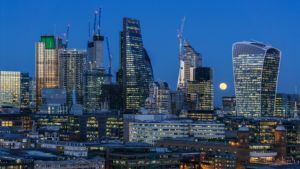 Gravity Thinking’s managing partners Stephen Firth and Andrew Roberts will join Vivaldi’s leadership team and continue to be based in London. All of Gravity Thinking’s staff will be retained and will work closely with Vivaldi’s global team across their nine offices, including New York, Chicago, Toronto, Buenos Aires, London, Zurich, and Munich. Gravity Thinking was advised by leading growth and M&A advisors Waypoint Partners who supported the managing partners throughout the process, leveraging an acute understanding of the M&A landscape to bring the deal to completion. The announcement caps a year of expansion, client growth, and new thought leadership for Vivaldi. The combined organisation, driven by an agile methodology to launch new ideas, concepts, and brands in the market, will be integral to delivering the company’s flagship work on platform business models. Founded in 2007 by managing partners, Andrew Roberts and Stephen Firth, Gravity Thinking has gained acclaim with many of the world’s forward-looking brands for its unique storytelling and relentless focus on data, resulting in the delivery of innovative marketing and measurable social and digital activation. Alongside Waypoint Partners, Gravity Thinking was advised on legal issues by Kemp Little, whilst Vivaldi used Humphreys Law for its legal and tax counsel. Despite a decrease in mobile threats in 2018, according to security firm Avast, the company reported a 49% increase in ad-based malware last year; and just last week, researchers at security provider Trend Micro discovered 85 different apps pushing adware to unsuspecting Android users. According to data from GeoEdge’s real-time blocking, the majority of malicious and sexually offensive ads discovered over the last six months were on iOS and not Android. To address the growing challenges of malicious and sexually offensive in-app ads, GeoEdge, the premier provider of ad security and verification solutions for the digital advertising ecosystem, released on Wednesday (16 January) its solution for in-app real-time blocking of malicious and inappropriate ads. This SDK is the digital marketplace’s first available innovation for blocking bad ads in real time within the in-app environment. GeoEdge brings mobile security and quality up to speed. Using the same proprietary, patent-pending technology that powers GeoEdge’s widely adopted solutions for the broader web, it detects security issues, inappropriate and sexually offensive ad creative, and user experience issues at the pre-impression level delivered by any of the major mediator SDKs. The tool blocks the bad ad before it renders and replaces it with an alternate ad already verified as safe and appropriate. This allows publishers to protect their users without losing the revenue they rely on for the future of their business. 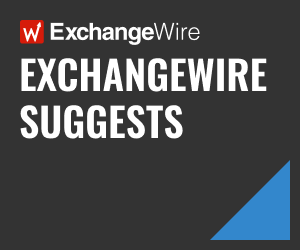 GeoEdge technology identifies issues ranging from redirects, drive-by downloads, viruses, and malicious files, to adult content, pop-ups, and device vibrations. 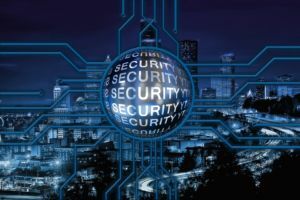 GeoEdge is unique among ad security and quality vendors in its ability to identify and block inappropriate ad creative in real time, rather than just identifying the security risks. GeoEdge presents developers with a mobile SDK that they can integrate directly into the app. It provides, via a web-based console, full reports on all activity the technology observes in the app environment. It also provides a BI view of data that can be visualised at the demand-source level. This SDK solution is the logical next step in GeoEdge’s long-standing mission to preserve user experience and to allow publishers to combat bad ads proactively. GeoEdge enables the supply side to focus on publishing. The company handles malicious and unsafe advertising so that publishers, app developers, and supply-side clients can focus on optimising their advertiser campaigns and provide better and more effective relations with their clients in the time saved. GeoEdge enabled clients to find a 90-95% reduction in complaints, through the elimination of offensive and malicious ads, and gain full transparency and visibility of their entire ad inventory beyond the blocked malicious ads, enabling better management of each partner’s brand-safety needs.